The traditional Seaside sauna and Superior sauna invite you to enjoy Finnish sauna traditions. 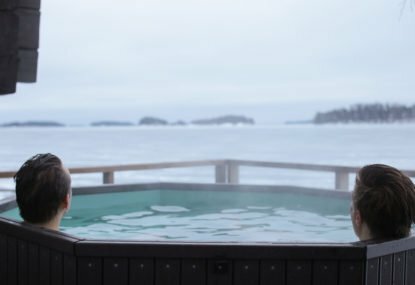 In Seaside sauna you can easily reach a relaxing atmosphere – you practically own the 300 m beach, outdoor hot tub offers great views and a fireplace gives a warm atmosphere for all guests. The use of the Superior sauna is always included in the fare of Superior rooms. 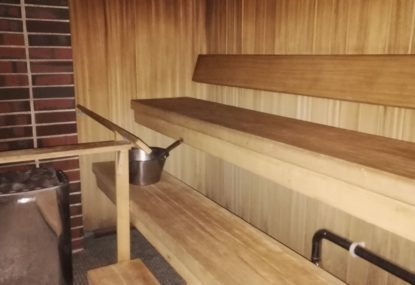 All saunas like other areas within the hotel, are fully licensed so unfortunately according to Finnish alcohol law, it is not aloud to bring your own alcoholic beverages to the premises. Unfortunately our seaside sauna and hot tub were destroyed in a fire that happened 16 January 2018. We will start building a new sauna in Spring 2019 and it is expected to be ready to use by the end of 2019. Unfortunately it is not yet possible to make sauna bookings. The use of Superior sauna is included in the Superior room rates.